The Easter Bunny has come hopping into Jackpot Capital Casino and he brought a special Easter Egg Hunt with him! 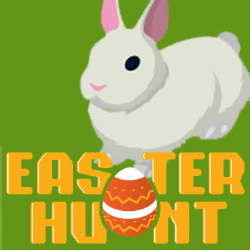 Every day from April 15-21, there will be new prizes to be won during the special Easter Egg Hunt bonus game that awards up to 50 free spins and cash bonuses of up to $750. Bonuses include free spins on popular slots like Hen House, Enchanted Garden, Kung Fu Rooster and Cash Bandits II as well as deposit bonuses that include free spins on games such as Cleopatra's Gold. To tell your bunny where to go and help him collect as many eggs as he can, you will use the arrow keys on your keyboard or tap the screen on your phone. If their bunny runs into the fence, it loses the eggs it's collected and the game ends. If you collect 10 or more eggs in your basket, you win the day's bonus. "Nothing against chocolate Easter eggs," laughed one regular player. "But a lot of us would much rather find free spins or cash, thank you!"